Building Infrastructure for Digital Surfaces. 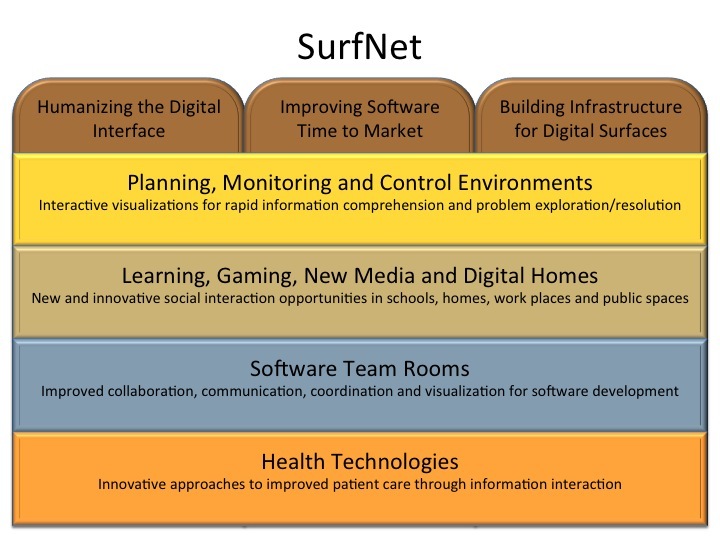 The NSERc SurfNet Research Network started in Spring 2010. Since its official launch, the research is up to a good start. The list of projects gives an overview on current research in the network. The applications page shows projects conducted with industrial and government partners. And, although the network is still at its beginning, network researchers were able to attract additional funding for SurfNet related offspring projects.